NWWT is dedicated to serving the community by passing on the art of woodturning to all. Young and old are welcome to join with us to learn and practice this exciting skill. We provide a meeting place for both learners and accomplished local wood workers to share ideas and techniques all while enjoying the comradship of other turners. 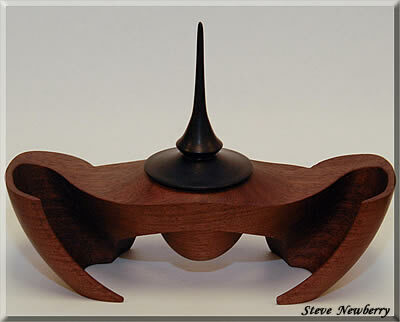 Join Northwest Woodturners and begin to enjoy the benefits of membership. In addition to regular meetings where members share tips and best practices, members enjoy regular presentations by world renowned turners and artists, demonstrating and sharing techniques and special skills. Classes by these accomplished turners are scheduled throughout the year and afford members a unique opportunity to widen their knowledge and skill sets. When you join NWWT you become a part of a big family - people who enjoy the art of wood turning. We produce bowls, spindles, pens, 3D sculptures and all sorts of innovative pieces. We even convert mistakes to treasures. We embellish our pieces with glass, stone, metal, clay, nails, and experiment with a rainbow of colors; Creating whatever your imagination suggests. It's exploration and fun time shared with others as well as good learning as we progress toward our individual goals of creating wood turnings.